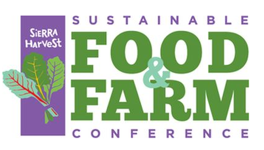 Mark Shepard is the CEO of Forest Agriculture Enterprises and runs New Forest Farm, the 106-acre perennial agricultural forest considered by many to be one of the most ambitious sustainable agriculture projects in the United States. New Forest Farm is a planned conversion of a typical row-crops grain farm into a commercial-scale, perennial agricultural ecosystem using oak savanna, successional brushland and eastern woodlands as the ecological models. Trees, shrubs, vines, canes, perennial plants and fungi are planted in association with one another to produce food (for humans and animals), fuel, medicines, and beauty. 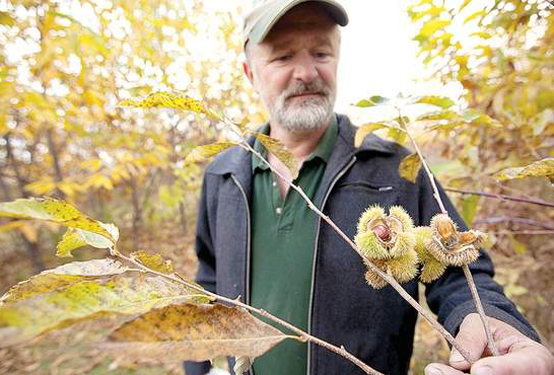 Hazelnuts, chestnuts, walnuts and various fruits are the primary woody crops. The farm is entirely solar and wind powered and farm equipment is powered with locally produced biofuels that are not taken from the human food chain. Mark is founder and board President for Restoration Agriculture Institute and serves on the board of the Southwest Badger Resource Conservation and Development Council. He teaches agroforestry and Permaculture worldwide. Mark is a farmer member of the Organic Valley cooperative, the worlds largest Organic Farmer’s marketing co-op, and is the founder and chief Cydermaker for the Shepard’s Hard Cyder winery in Viola, Wisconsin.